Matt 5:4 “Blessed are those who mourn, for they will be comforted. Matt 5:5 “Blessed are the meek, for they will inherit the earth. Matt 5:6 “Blessed are those who hunger and thirst for righteousness, for they will be filled. Matt 5:7 “Blessed are the merciful, for they will receive mercy. Matt 5:8 “Blessed are the pure in heart, for they will see God. Matt 5:9 “Blessed are the peacemakers, for they will be called children of God. Matt 5:10 “Blessed are those who are persecuted for righteousness’ sake, for theirs is the kingdom of heaven. Matt 5:11 “Blessed are you when people revile you and persecute you and utter all kinds of evil against you falsely on my account. 12 Rejoice and be glad, for your reward is great in heaven, for in the same way they persecuted the prophets who were before you. (i) There are twenty-seven Beatitudes in the New Testament. The first is in Matthew 5:1 and the last is in Rev 22:14. (ii) The Beatitudes in Matthew (invitation texts) are to be interpreted within the Sermon on the Mount and alongside the corresponding narrative section, chs. 8-9. Matthew leaves out the woes of Luke, but he has his own dire warnings! (i) In rhetorical terms, this text is an introduction, an exordium, designed to get the attention, good will and receptivity of the hearers. It achieves these aims (a) by awakening a desire for happiness; (b) by naming the present situation and (c) by proposing attitudes and actions that lead to salvation in heaven. (ii) Matthew’s Beatitudes are chiefly apocalyptic, promising end-time reversal. They thus reveal a difficult situation in his community, perhaps a result of the probably recent break with the mother faith of Judaism. There are very many “blessing” sayings in the Old Testament, especially in the psalms. In fact, the Psalter opens with one such “happy” saying. In general, the sayings occur in two settings: (a) in the Wisdom writings and (b) in the Apocalyptic books. The wisdom beatitude is a desire for practical advice, which will lead to a peaceful life; the apocalyptic beatitude encourages endurance until God acts and reverses the present calamity, whatever that may be. (ii) Within that overall pattern, the Sermon on the Mount (on the Plain in Luke) has several possible outlines, including a concentric pattern. This lets us to see that the opening beatitudes may helpfully be read in conjunction with the corresponding exhortations in 7:13-27. With that in mind, we can notice the editorial changes and additions in Matthew 5, which reveal his own theology of the Beatitudes. The location is the symbolic mountain of Moses, thus carrying forward the Mosaic typology of this Gospel. Jesus sits, i.e. he takes up a position of authority. The immediate audience is the disciples and the message is first of all for them. Verse 2 The Greek is more wordy (opening his mouth, he began to teach them), thus providing quite a solemn opening intended to create suspense and anticipation. What will the teaching be? Verse 3 In comparison with the Q beatitude above, Matthew has “spiritualised” this teaching. Certainly for the Lucan community, poor meant “without money” (as in the Acts). Matthew does not exclude real property, so a good interpretation of Matthew’s version is: Happy are those who know their need of God (NEB). It really means those who are in want, living in dire straits: such people have come to recognise that God alone is their source of hope and life. Verse 4 In the ordinary sense, mourners are those experiencing bereavement and loss. To mourn is a signal of suffering in the Old Testament, where the kings insist on “joy” when grief is appropriate. Thus there is prophetic permission to keep “the wound of the negative open” (Kierkegaard) while assuring the hearers of end-time reversal in the coming kingdom of God. Verse 5 Linguistically, both “poor” (ptōchos) and “meek” (praus) go back to the anawim Yahweh (the poor of Yahweh) of the Hebrew Bible. On account of that, this beatitude closely resembles the one in v. 3. The range of meanings of praus is somewhat different: to be gentle, humble, considerate. Today the word meek comes across as negative, but it was not always so. Verse 6 A comparison with the Q beatitudes above is illuminating. Matthew has added “and thirst for righteousness”. As a student of the Hebrew Bible, he is especially interested in justification/righteousness before God. The most pastoral way to translate righteousness is “to be in right relationship with God.” All the Gospels were written after Paul, so some dialogue with the Pauline tradition and its concerns about justification may be presumed. Verse 7 Compare with Mt 7:2 and, perhaps, with 6:14. The related adjective “merciful” does come up again in this Gospel: Matt 9:13; 12:7; 23:23. Likewise the verb to have mercy: Matt 5:7; 9:27; 15:22; 17:15; 18:33; 20:30–31. Intriguingly, this comes up mostly in the familiar form “eleison”, as in Kyrie eleison. Verse 9 Peace is a gift of proclamation according to Mt 10:13, but see also, for contrast, 10:34. Behind the Greek word for peace, eirēnē, we may presume the richer range of meanings of shalom, i.e. a quality of relationship with the other and not simply inner calm. Verse 10 Reality breaks in here, as we read outside of the Sermon: When they persecute you in one town, flee to the next; for truly I tell you, you will not have gone through all the towns of Israel before the Son of Man comes. (Matt. 10:23). Cf. Matt 23:34. 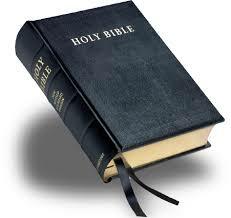 Verse 11 The relationship with the Lord is explored later in the Gospel: Matt 10:18, 39; 16:25; 19:5, 29. The blessings in the Beatitudes are primarily future blessings, but there can be an anticipation of the blessings in the present. At first reading some Beatitudes may seem to describe circumstances that you would like to avoid at all costs. Read them slowly. Stay with each one for a while. All-holy God, you call your people to holiness. As we keep the festival of your saints, give us their meekness and poverty of spirit, a thirst for righteousness, and purity of heart. May we share with them the richness of your kingdom and be clothed in the glory you bestow. Today we celebrate the community of faith, being in communion with all the saints, a day of both thanksgiving and vision. Thanksgiving because of the example and inspiration of the saints, who have come to maturity, to the measure of the full stature of Christ. (Eph 4:13). Vision because our Gospel today describes the path we must take to make the same journey home to God. If we wish to join the saints both now and into eternity, we must make our own the “mission statement” of Jesus, which is the Sermon on the Mount and especially the opening invitation to true happiness. Jesus you are our teacher within and today we ask your help. Just as you have brought our brothers and sisters to full maturity in you, so also guide us and be with us as we walk your Way. By your grace, may we too be counted among saints in the present moment and in the life to come.